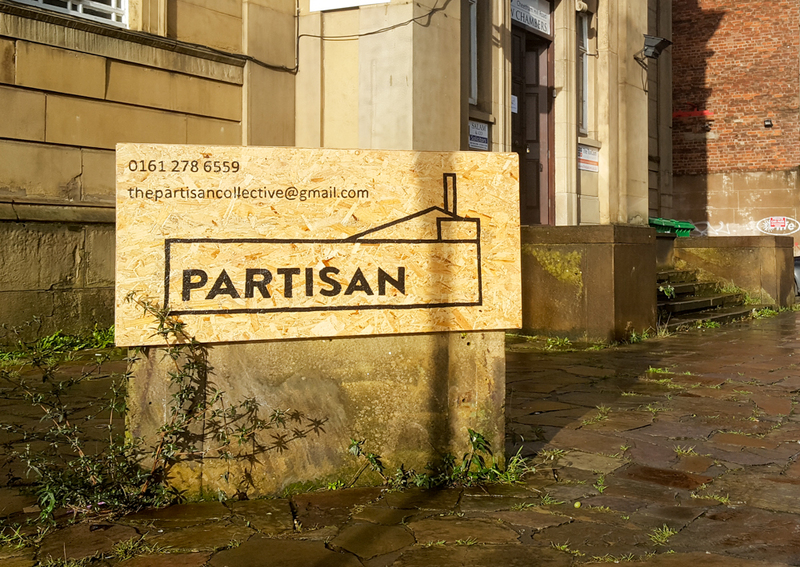 To book an event at Partisan you must complete a booking enquiries form, then await a response from us. We have different enquiry forms depending on your event, please make sure you choose the right one! Standard Booking Enquiries – any standard non-licensable events, at our standard prices. Standard Booking Enquiries (application for reduced rates) – If you are a member you can apply for reduced room hire rates if your event is for a charity, activist work, community, unfunded arts, or other good causes. Licensable Event Proposals – events that involve licensable activity, such as music, or the selling of alcohol. Community Events Partnership – free space for community events. Our standard fees are as follows. There is also an additional £35 per hour fee outside the hours of 10am-9pm. How much we charge for booking licensable events – or whether we charge at all – depends on factors outlined on the Licensable Events Proposals page, and is decided on an event-by-event basis. Reduced rates are decided on a sliding-scale fee structure, depending on the details of your organisation and event. We cannot give quotes in advance without this information from our reduced rates booking form for members.